For some years now, he has been working on semi-trucks and more recently moved into heavy-vehicle maintenance. 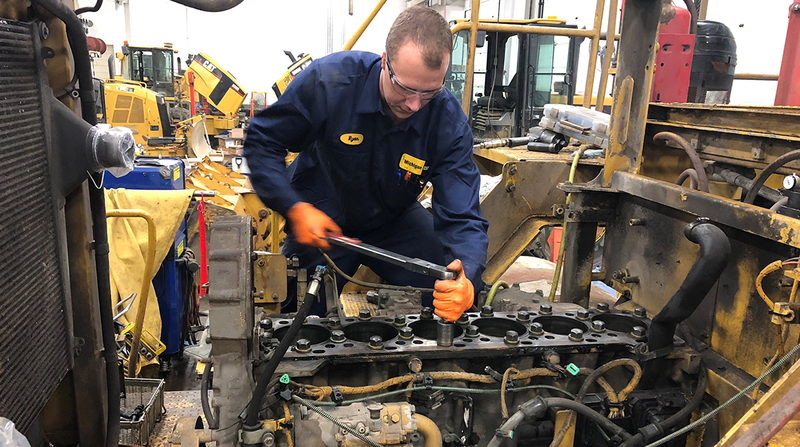 Meppelink is such a deft diesel mechanic that he has won a coveted spot on the WorldSkills USA team that will compete in Kazan, Russia, Aug. 22-27. WorldSkills takes place every two years. The gathering of high-performing youths compete in 56 skills in industries ranging from hair dressing to heavy-vehicle equipment repair. Meppelink is the sole contender in the heavy-vehicle maintenance category among a full U.S. team of 22 competitors for other categories and 21 coaches. This year marks the 45th WorldSkills competition. His knack for handling big rigs caught the attention of hundreds of trucking professionals attending American Trucking Associations’ Technology & Maintenance Council annual meeting in Atlanta last month. He received a standing ovation from the executives, engineers and top mechanics in the room — a group badly in need of young recruits. “Ryan’s commitment to the profession highlights the potential for a career as a heavy-vehicle technician, as a lifetime opportunity to support a family while achieving a high degree of personal and professional satisfaction all the while supporting the industry’s vital role in the success of the country,” TMC Executive Director Robert Braswell said. Today, Meppelink is a senior at Ferris State University in Big Rapids, Mich., and due to graduate in December. But his journey to becoming a diesel mechanic began six years ago when he was asked by his cousin, Darin Post, a technician at a local equipment dealership, for help rebuilding the engine on a pickup truck. They were successful, and Meppelink was hooked. About a year later Post, then 18, died in an automobile accident. The incident, though sad, turned into motivation for Meppelink. Meppelink won his spot on the WorldSkills USA team as a result of competing since 2016 at state, regional and national levels with SkillsUSA, a membership association serving middle school, high school and college students preparing for careers in trade, technical and skilled service jobs. “The industry is trying to reach young people in high school, and Ryan’s success shows this can be a satisfying, successful career path for them,” TMC Technical Director Jack Legler said. Leesburg, Va.-based SkillsUSA is organized into thousands of local chapters, and teachers serve as professional members and advisers. Thomas Wozniak is one of them. He’s an instructor in diesel technology at Madison Area Technical College in Madison, Wis., as well as Wisconsin’s statewide director for SkillsUSA, managing post-secondary students. He’s also Meppelink’s coach. The pair came together last year after a meeting for state directors who were asked whether there was a youth in the diesel industry strong enough to be coached to go up against the best of the best at WorldSkills, Wozniak said. Meppelink recently had won the National SkillsUSA competition for heavy-duty vehicle maintenance and his name was the first mentioned. In Russia, competitors will be tasked with solving seven challenging problems, Wozniak said. “At each station, you have 3½ hours to finish the task at that station. They could have multiple tasks,” he said, citing anything from a pre-delivery inspection on a piece of equipment and finding things wrong to marking things down on a pre-delivery inspection form. There’s also pulling oil samples and reading oil analysis reports, determining what a report says and the type of maintenance needed, and repairing an electronic problem. “It’s everything you will see in the heavy-equipment industry,” Wozniak added. There were signs early on that Meppelink was special. In 2017, he was among just 127 high school students awarded a yearlong scholarship by Bethesda, Md.-based University of the Aftermarket Foundation. Meppelink said he preps 80-plus hours a week for his turn on the international stage. He already has planned a career path: finish his education, get a full-time job as a heavy-equipment technician, eventually move into management, and possibly follow Wozniak into teaching. • Sunday nights from 9-11 p.m. ET.